My print copy of ACKS arrived last week. It’s a beautiful thing. And now I don’t have to wait for my PDF viewer to finish rendering the giant images when I’m looking things up. It almost feels odd being able to quickly leaf through a physical book as I had gotten so used to ACKS in PDF form. One of my new players knows how to use glue (I apparently don’t, as my Otherword Minis had been waiting for months to be assembled). 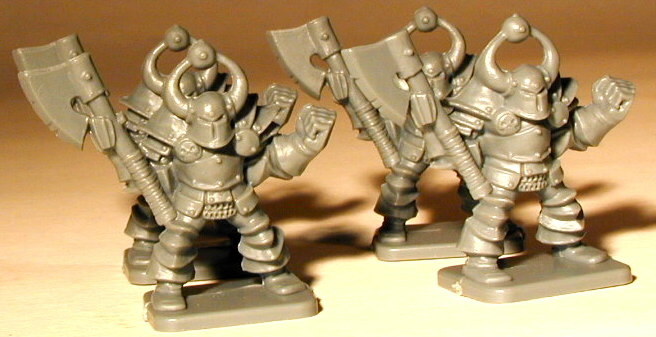 So he very helpfully put them together for me and now we have more attractive minis to use. Also, it looks like I’m going to be rather busy this week, so posts might be less frequent. This entry was posted in Uncategorized on April 30, 2012 by Necropraxis. Back in the 90s when I played 2E, before Third Edition was released, we played with perception as a seventh ability score. I’m not sure if this was inspired by something, or if it was a purely original house rule. We relied heavily on “roll equal to or less than” ability checks (even basing a custom system entirely around this mechanic at one point). 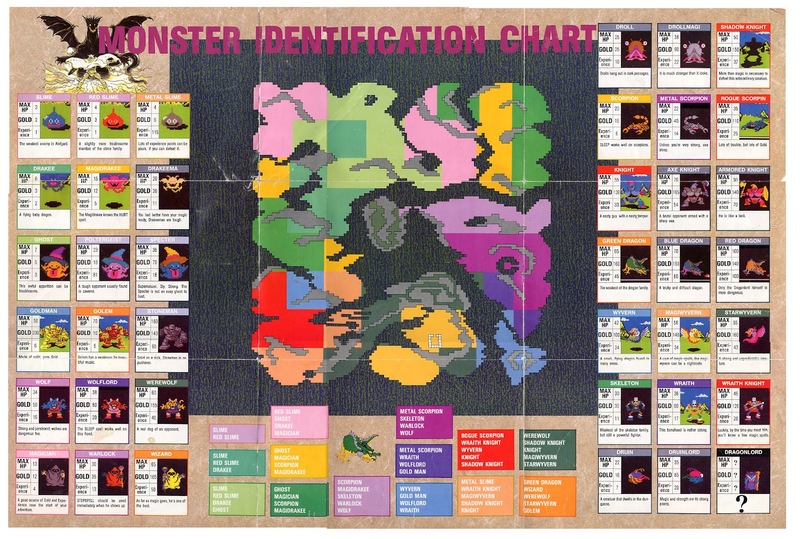 While the traditional six ability scores cover most situations, it is not obvious which should be used, for example, to notice a sneaking monster. So, we added another 3d6 score for perception. The WotC editions of D&D were designed similarly, and I’m sure many (most?) other games work the same way. It seems to intuitively make sense that being perceptive, being able to notice things, is a personal trait, and should vary from character to character. 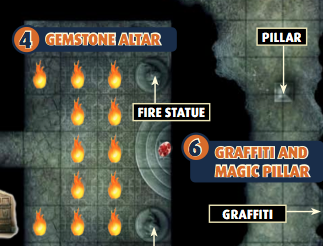 However, this doesn’t really work very well in the context of an adventuring party. For one thing, it replaces 1 roll with N rolls (or N lookups if you are playing with something like passive perception). Further, a well designed group game will not have many opportunities for one character to go off and do things without the participation of the others, so the utility of tying perception to the individual is limited. Surprise: A condition of surprise can only exist when one or both parties are unaware of the presence of the other. Such things as ESP’ing, light, and noise will negate surprise. If the possibility for surprise exists roll a six-sided die for each party concerned. A roll of 1 or 2 indicates the party is surprised. Distance is then 10-30 feet. Surprise gives the advantage of a free movement segment, whether to flee, cast a spell or engage in combat. If monsters gain surprise they will either close the distance between themselves and the character(s) (unless they are intelligent and their prey is obviously too strong to attack) or attack. There is precedent for using the surprise mechanic as a general stealth system. 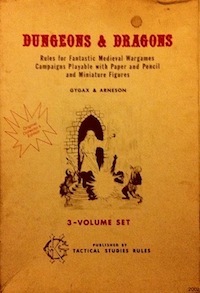 This way of doing things was preserved with minor variations through all the TSR editions of D&D. For example, in Second Edition, the check is 3 in 10 per side (2E PHB page 111); there are options that allow individual character attributes to influence the group roll though. I didn’t understand or use the original surprise system back then though, for whatever reason. Perception as we used it (and as D&D 3E and 4E use it) is a highest common denominator system. You only need one person to notice a sneaking bugbear and then they can alert the other PCs. In contrast, movement rate is a lowest common denominator system. The group can only move as fast as it’s slowest member. Trap finding is also a highest common denominator system. If connected to player options, any kind of highest denominator system will structurally devolve into a skill tax when taken to its logical end. That is, an “optimized” group will have one character that is perceptive (with perhaps one backup). It just doesn’t seem like much is being gained by individualizing perception in this case. Perceptive or not perceptive is an uninteresting character trait for purposes of roleplaying; it is pretty much just system mechanics. Does this same line of reasoning apply to hearing noise and searching for secret doors? Well, there is one major difference that I can think of. Listening at a door and searching are both proactive. In contrast, perception (or surprise) checks are generally passive, in the sense that they happen to the PCs rather than being initiated by them, and are also part of combat, which benefits more than other parts of the game from mechanical streamlining (because there are so many die rolls involved). If you base the search chance on class (like some editions do where default is 1 in 6 but elves have 2 in 6 change) then you minimize (but do not completely avoid) the skill tax problem. I will close with one last observation. In the 90s, as has been commonly observed, tabletop RPGs moved away from problem solving and exploration and towards character development (influenced by the White Wold games and products that started to focus on character options). Thus, the logic of the individual character was privileged over the group (and game) experience. I can’t help but think that small mechanical changes like the perception skill are but manifestations of this larger trend, and are closely tied to the idea of RPGs as wish fulfillment fantasies. That, however, is probably a larger topic. This entry was posted in Uncategorized and tagged combat on April 28, 2012 by Necropraxis. Following on my ideas for one page dungeon module prep, I’ve actually put together some materials. That’s 10 pages in the picture below (I printed the Blasphemous Brewery prep sheet double sided because I was able to fit the maps and prompts needed on two sheets). One of those sheets is a table for the effects of the purple lotus. 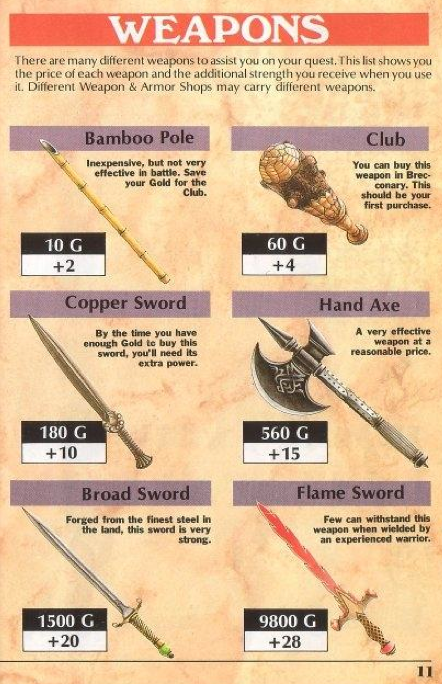 I’m missing zone 2 of Hammers of the God because I haven’t completed it yet. It might need to be two pages; I’m not sure yet. The transfomorph from that module also has its own page because it requires several tables. I’m in the process of running Death Frost Doom from these sheets. They are working out really well so far. They do take a bit of effort to construct, but if you do it at the same time you are reading the module in preparation, I don’t think the extra time is all that much. I would love to see this sort of play aid generally included with modules. Basically, I think that page flipping should be kept to an absolute minimum. It is a rare case where a session might require more than one or two of these sheets (if players are in a sandbox environment where they could jump in any number of different directions, you might need to have several available, but you will probably not need to actually use more than one or two). As I said before, I don’t think these are replacements for traditional adventures. Modules, especially good ones, convey a lot of atmosphere with all that extra text. But I don’t want to read that during play, I want to read that before play to have a sense of what the scenario should feel like, and during play I only want the critical details. I’m still playing around with the form factor. Assuming a single sheet like this works well, but perhaps digest size, printed like a booklet (one sheet of paper folded in half) would work better. That might make the front and back more accessible, and would also allow the sheet to be kept inside my adventure log notebook, which is smaller than 8.5 x 11. Right now I have a binder in addition to the notebook, and it would be nice to only need the notebook. This entry was posted in Uncategorized and tagged technique on April 27, 2012 by Necropraxis. [A] half-living tank, forged by the Kuo Toa (or any other evil sea-dwelling race, should you wish) by surgical and magical means. A live giant crab is taken and a chunk of its insides are taken out to create a small transportation area where its handlers can sit. The life of the mind flayer begins and ends in the tank of the Elder Brain. As little tadpoles, they’re placed in its tank, where it feeds off their psychic energy. Those who survive get to become fully formed mind flayers. At the end of an mind flayer’s life, the brain is removed from the creature’s head and placed in the tank, where it’s absorbed by their leader. 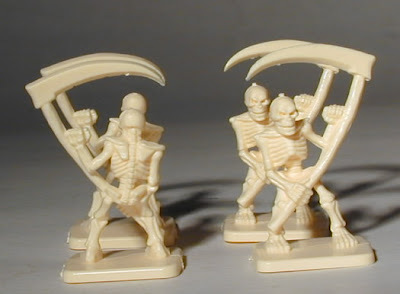 I believe both of these monsters were introduced in 3E and are official D&D monsters (though they were new to me). They are both great ideas. I have still never run a heavily aquatic scenario, and it’s something I would like to try at some point. I can imagine rather than tanks, what if the elder brains inhabited great airless flooded caverns and tunnels? This would necessitate descending into the watery depths to actually defeat an illithid colony; sort of like a fantasy Lovecraftian version of The Abyss. 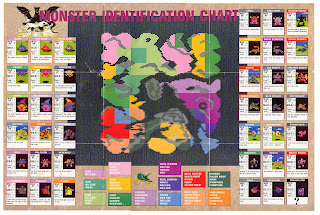 This entry was posted in Spotlight and tagged monster on April 25, 2012 by Necropraxis. There is a post over at the D&D Next development blog about backgrounds and themes. I can already hear the old school groans. Oh no, more sets of options that can be used for character optimization! More complexity! But stay with me, I actually think there are some really interesting ideas here. In the article, backgrounds are described as a bundle of skills and themes are presented as a collection of feats. Choosing a background explains where your character came from, and choosing a theme identifies how the character plays. So far, so much like ACKS templates, right? Or Second Edition kits? Well, sort of, but not only. The first theme you choose is broadly descriptive and flexible. Think Leader, Sharpshooter, or Skirmisher. When you adopt your second theme at 6th level, you might choose another basic theme or you might choose something that grounds you a bit more in the game by selecting an advanced theme. Currently, advanced themes, in concept, resemble the prestige classes from 3rd Edition. They focus your character a bit further, building on the foundation established by another theme, to reflect deep specialization or some character-defining quality. Here are a few ideas off the top of my head. A Sharpshooter becomes an Arcane Archer. A Tempest becomes an Eldritch Knight. A Lurker becomes a Shadowdancer. A Mystic becomes a Necromancer or Enchanter or Abjurer. A wizard specialist would actually be something you grow into, not something you start as. This makes sense to me intuitively and also follows the principle of character elaboration through play rather than optimized builds constructed before the game. Background and theme lists also provide a way for the referee to tailor the player interface to a given campaign without requiring the players to read a large setting infodump document. (Such lists might be amenable to random tables, too, for really quick character generation.) One of the examples they give is a set of backgrounds and themes that might be appropriate for a Ravenloft game: Occultist + Avenger, Commoner + Werewolf, or Bereaved + Revenant. That’s only six words right there, and I bet you already have a pretty good idea about the style and content of that campaign (though I have no idea what “revenant” has to do with class play style). As I mentioned last time, I can imagine the fighter’s suggested background being soldier. That tells the story of the fighter throughout the editions. By replacing soldier with priest, I suddenly have a very different sort of fighter—even if the mechanical adjustments are shallow and focus on noncombat task resolution. Such a character might have been a temple guard, a crusader, or even Friar Tuck, armed with a quarterstaff. And, for those groups that like just picking skills and feats directly, it should be immediately obvious how to do that (“DM 5: Come up with your own background by choosing up to four skills”). Or, one could use backgrounds and themes in a more abstract way, akin to the old secondary skill system. Now, that’s not to say that this design might not devolve into endless options, but I think it has potential to work well with multiple play styles. As the article suggests, if you don’t want to play with skills, the way to do that is to run a game without backgrounds, and if you don’t want to play with feats, the way to do that is to run a game without themes. Elegant, and by reframing the issues it might also help get people to try playing other styles. 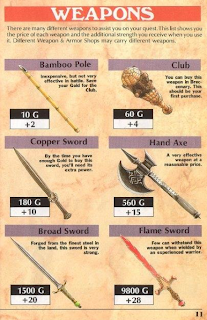 I could imagine a tactical gamer willing to try a game without themes and an old school player willing to play a game with backgrounds, especially if all the other rules elements that they are familiar with stay the same. I think this is the most innovative and promising design preview I have seen regarding 5E yet, and one of the few that really starts to show how the system might support multiple play styles an a modular way. This entry was posted in Uncategorized on April 24, 2012 by Necropraxis.